Comma has introduced all-new AQCVT Plus and AQDCT Plus Gear & Transmission Oils to its high-performance range, adding over 310,000 new vehicle parc applications for technicians. The all-new Gear & Transmission Oils build on Comma's existing AQCVT and AQDCT products, bringing enhanced vehicle coverage and sales opportunities for technicians, as well as supporting increased performance across the range. The AQDCT Plus improves on the previous formula, adding over 260,000 vehicle applications through the introduction of a range of manufacturers including Audi, BMW, Citroen, Ford, Nissan, Peugeot, Renault, and Volkswagen. The high-performance AQCVT fluid – previously applicable for GM, Ford, Nissan and Honda – has widened its applications even further with the update adding a host of major manufacturers, including Audi, BMW, Jeep, Toyota and Renault; the all-new AQCVT Plus has increased its vehicle parc coverage to over 50,000 vehicles. Comma's Sales and Marketing Director, Mike Bewsey commented: "We're always looking to build on our products to give technicians and motorists the best products. Our new Gear & Transmission Oils do that, and more; improving performance whilst ensuring it can be used on an even wider array of vehicles. "As cars become increasingly advanced, protecting them from wear and tear becomes even more important to providing proper car servicing. By using high-performance Gear & Transmission oils, motorists can achieve greater peace of mind as well as superior performance. 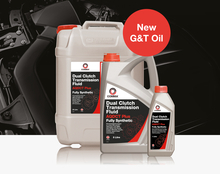 The all-new Gear & Transmission Oils are in stock and available to order.